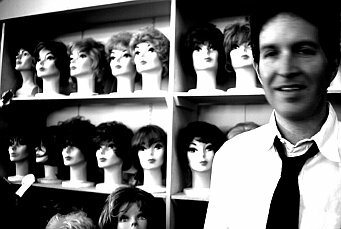 Leader of the Paisley Underground, a neo-60s scene based in Los Angeles (that also fostered The Bangles), via his group, Dream Syndicate, front man Steve Wynn is credited by many as one of the few that helped bring back the guitar. While others were busy experimenting with technology, Wynn, alongside bands like R.E.M., fostered their love of Alex Chilton and Big Star into an indie revolution that changed the face of college radio -- forever. Following the band's demise, Wynn went on to a solo career, releasing nine albums in throughout the nineties. 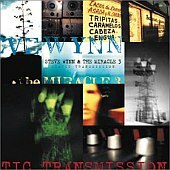 Wynn has gone on to release three records in as many years, his latest, Static Transmission (DBK Works), including a bonus disc of outtakes that didn't make the album (not to be misconstrued as a double album, like 2001's Here Comes The Miracles was), sounding like a veteran songwriter at the top of his game. "I've always wanted to progress, experiment, and try on new things," Wynn says of Static Transmission. "You have to stretch and try on a new persona that isn't you sometimes and when you do that, sometimes you'll nail it and it is great and other times it sounds like you're wearing a suit and it isn't flattering." Luckily for Wynn, he's nailed it, and Static Transmission finds Wynn dabbling in the power-pop that has made him an underground legend, while also forging ahead, implementing other elements of his influences, including elements of folk, Americana, and loud rock. "I have had problems with some records here and there, but not with this record. I'm very happy with Static Transmissions," comments Wynn on whether or not he'd change anything about his latest record. "Actually, I'm generally happy with every record overall. I'll go back and I might listen to some of my other records to prepare for a tour, and most of the time I'm very happy with them all. For having a 20 year music career, that's pretty nice." Wynn used his twenty-year music industry experience to make the recording sessions for Static Transmission as effortless as possible, especially coming off the sessions for Here Comes The Miracles, one of the easiest sessions Wynn has ever went through, he told me. 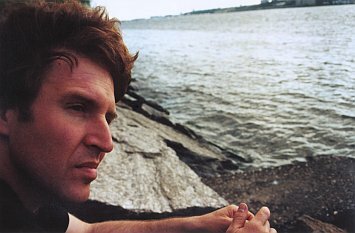 "When we recorded the first Dream Syndicate record, I was sweating, hoping we'd make it through the recording process. That doesn't happen anymore. Making music is natural and easy now. I've done it so much, things like that don't happen anymore.
" [Static Transmission] was really tough, though, when we started out because everything went so perfectly for Here Comes-- that we tried to make it like that recording session, but that didn't work. After three days we realized it was a different beat. So, from there on out, it went pretty easy, as soon as we realized what we were doing wrong." So well, in fact, that Wynn recorded over thirty songs for the record, nineteen of which comprised the record. After releasing a few of the outtakes and four videos on the European release, the U.S. label, who wasn't keen to releasing the bonus videos, demanded more songs for the bonus disc, and Wynn handed in an entire album's worth of material from the Static Transmission sessions that didn't make the album. These songs found their way onto the bonus disc, making some call Static Transmission a double album. 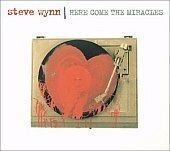 But, don't make that mistake, as Wynn refutes it, saying it is not a double-album like Here Comes The Miracles. "I wrote about 50-60 songs [for Static Transmission] and choose the ones that fit best on the record," recalls Wynn. "Generally, every record I make I have a record of demos to follow. This time through I just packaged the demos with the record. And people are like, 'you made a double record again'. But, I don't think I made a double record. The songs that didn't make Static Transmission, but made the bonus disc, are straight down the middle, no real flow. I kind of just threw them together and let the track order stick." For Wynn that is unusual, as he usually labors over track lists to find the perfect order to compliment the album. Much like he did for Static Transmission. "I picked the least best opening track for the album, a ballad," he laughs. "It's definitely not the most likely opener. I wanted to change it, but the band and I kept coming back to it as the opener. The rest of the track order I really went over and over again and it took a lot of time to come up with the perfect order." Now that Static Transmission is done and has been out for awhile, Wynn is continuing with his relentless touring schedule, playing as many dates as possible in Europe, and working in U.S. tour plans as well. "I will do more gigs this year than I've ever done in my life. I'll have been touring non-stop since January, and will do another 150 shows next year, too," he proudly tells me. "I play Europe a lot because I make money and it helps me make up for the money I'm not making in the U.S. But for the last two years the U.S. has been pretty good for me as well." Since Static Transmission garners so much comparisons to Here Comes The Miracles, with a lot of people misinterpreting the former as a double disc much like that latter, I ask Wynn how he feels the two are complete opposites. "I think Static Transmission is emotionally deep, more melancholy than Here Comes The Miracles. Here Comes The Miracles was more of a party record," he tells me. "Of course, my idea of a party record is much different than most people's. My idea of a party record is a pretty gruesome party." He continues, "In the world and in my life there was more answers and life was easier when we made Here Comes The Miracles." However, some may find more answers in Wynn's latest, as he searches his soul to deliver a spellbinding, rock 'n' roll performance on par with any of Dream Syndicate's best work.